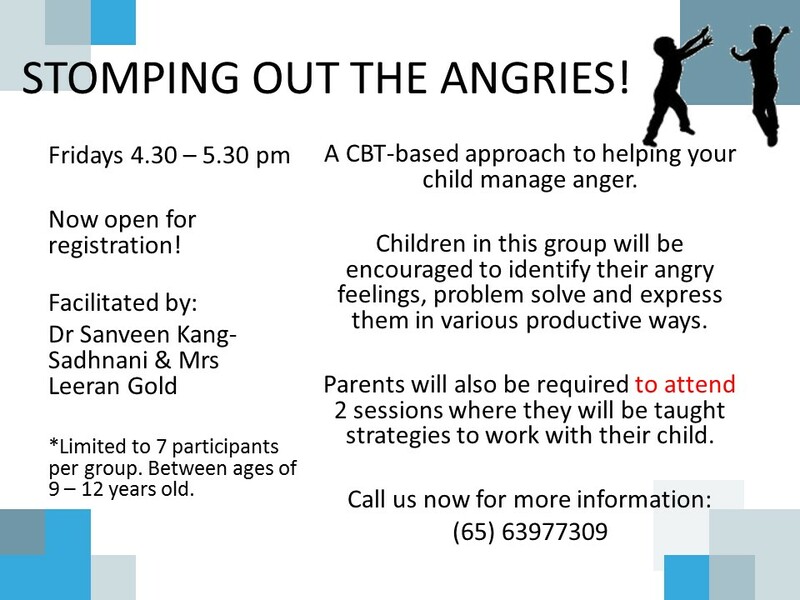 A CBT-based approach to helping your child manage anger. 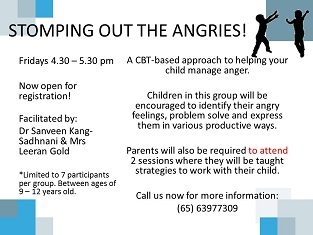 Children in this group will be encouraged to identify their angry feelings, problem solve and express them in various productive ways. Parents will also be required to attend 2 sessions where they will be taught strategies to work with their child. *Limited to 7 participants per group. Between ages of 9 – 12 years old.